When you’re ready to take home a new Acura RDX or luxury pre-owned vehicle, we’re here to help you take the next steps. 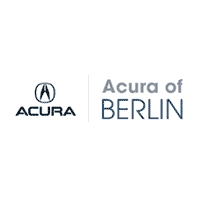 The expert staff at Acura of Berlin can assist you in determining whether a car loan or lease is right for your budget, and we’re proud to offer you the lowest price possible with our Perfect Price Policy. With our online car payment calculator, you can see an estimate of what you could be paying right away. You can also learn about our selections of extended and factory Acura warranties to further protect your new vehicle. And with our ongoing Acura specials and car trade-in option, there are lots of ways to save on your next purchase. Once your new Acura needs a tune-up, you can take advantage of our accelerated services to have you back on the road in no time. Fill out the form below to schedule an appointment at our Berlin, CT dealership today. We can’t wait to serve you!